As the great British travel writer Eric Newby raced through Afghanistan to begin his short walk in the Hindu Kush, his guide lamented that they would not be stopping at Istalif en route, and employed an old Afghan proverb about this village perched precariously in the foothills of the Hindu Kush: ‘He who has not seen Istalif has seen nothing seen.’ The great Mughal emperor Babur, a descendant of Timur and Genghiz Khan, would have agreed, writing in his journal five hundred years earlier that ‘when the trees blossom [in Istalif], no place in the world equals it’. So much did Babur love the village that he bought a garden, the Bagh-i Kalan, on the slopes of the river. Here, under the plane trees that can still be seen today, he rested from the vicissitudes of life on the road with picnicking and drinking parties. It is not merely Istalif’s blossoming trees, ancient gardens and picnicking spots that have made it such a famous destination in Afghanistan. It also produces distinctive, turquoise-glazed pottery, among the country’s most recognisable craft traditions. The history of Istalifi pottery has never been properly documented, but the potters’ oral traditions tell a story stretching back over 300 years, when Bukharan potter Sayed Mir Kolal left his hometown and headed south looking for the perfect place to start a new potters’ community. On seeing Istalif, he knew he had found it. Whether or not this story is apocryphal, certainly the link between Istalifi pottery and that of Uzbekistan is clear in the design and glazes used. Indeed, the history of ceramic production in Afghanistan has always been closely related to the pottery traditions of the country’s neighbours. Throughout the region, turquoise-coloured glazes, which have their origins in the pre-Islamic era and had a golden age during the Sassanian and Parthian periods, have remained very popular. Similarly, incised surface decoration made its way eastward to Afghanistan from tenth-century Iran. These innovations had a major influence on smaller pottery centres like Istalif. It’s no surprise that Sayed Mir Kolal, travelling from Bukhara with his four sons, decided to settle in Istalif. The advantages were the same as now: clay deposits within easy reach of the village; large quantities of quartz, known in Istalif as sang-i safed (‘white stone’), used in glaze-making; and the proximity of Kabul, giving ready access to markets. Today, fifty potters’ families live and work in Istalif. 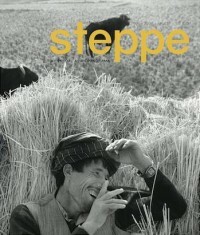 To anyone who visited the village shortly after the fall of the Taliban, this is a remarkable feat of resilience and regeneration, for Istalif has found its geographical situation a curse as well as a blessing; its strategic location overlooking the Shamali Plain and its nearness to Kabul have meant that possession of it has always been fiercely contested. It has been completely destroyed three times: in 1843, by the British, in retaliation for their loss in the disastrous retreat from Kabul; in 1983 by the Soviets; and in 1998, when the Taliban fought a pitched battle with the warlord Ahmad Shah Massoud, expelling the villagers and burning Istalif to the ground. Since the Taliban was routed in 2001, the potters – many of whom had buried their pottery tools just before fleeing – have begun to slowly return and rebuild their homes and businesses. Another key concern is the comparatively recent practice of using cheap factory-made glazes instead of traditional ishkor glazes, comprising potash sourced from a certain mountain bush found around Mazar-i Sharif in northern Afghanistan. This traditional glaze had always been used in Istalif until 1996, when the supply was cut off as a result of the Taliban’s control of the country. 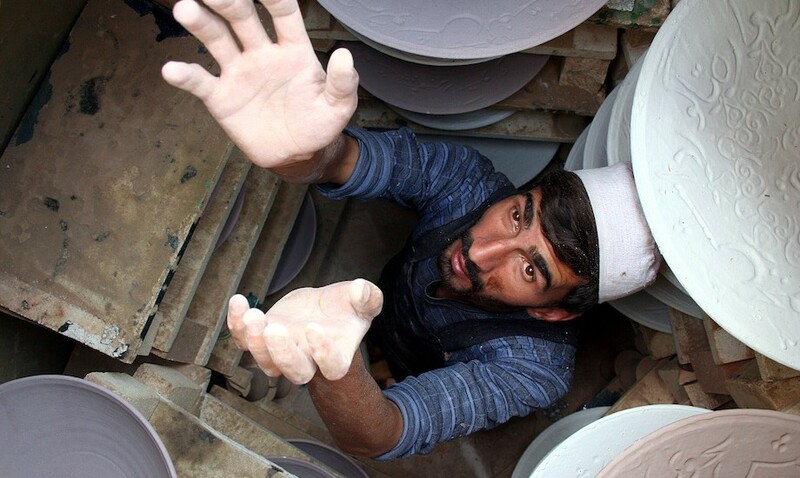 The potters had to use a ready-made Pakistani glaze available in Kabul’s markets. Although easy to use, this glaze is inferior in colour and quality. Very few of the potters have gone back to ishkor glazes, having grown used to the properties of the Pakistani glaze. It is also a good deal cheaper and less time-consuming to make. Only Muhammed Aref Yousefi, the oldest potter in the village, still makes his own ishkor glaze in the grinder he has used since he was a boy. Istalif’s future lies in reviving the traditional methods and crafts that are on the verge of fading altogether. It is not a matter of looking backwards, but of providing livelihoods for the next generation of craftsmen and of contributing to the growth of a self-confident, outward-looking Afghanistan, secure in its own identity, which can take its distinctive place in the modern world. Thomas Wide spent ten months in 2007/8 working for Turquoise Mountain in Afghanistan. He holds a Horsman Travelling Fellowship from Somerville College, Oxford, and is a Kennedy Scholar at Harvard University.